Home » Posts » Why Is Employee Experience Important? Employee experience is a crucial aspect of running a successful business, regardless of its size or stature in any given industry. The bottom line is that in order to maximize the productivity and talent of your employees, you need to demonstrate that you respect their needs. Your employees should feel comfortable and valued in their working environments so that they’re more motivated to dedicate their talents to your business. Don’t underestimate the importance of employee experience in your company. It all starts with establishing a strong company culture that cultivates open communication, collaboration, the sharing of ideas, and private working spaces for those who need it. Keep reading to learn all about the importance of a good office space and how it directly influences employee experience. What Defines Good or Bad Employee Experience in the Workplace? Defining a good or bad employee experience can be quite tricky given the fact that each company and their individual workers most likely have their own set of cultural standards and expectations. What works for one company or working environment might not necessarily work for another and therein lies the challenge. Striking a good balance to find a solution that works for all of your employees or at least the majority of them can be difficult. The first step is to take an employee consensus just to get a general idea of where they all stand and what their opinions are about the operation of your organization. Ask them what they like about working for your company and which areas they think need to be improved. Once you have a consensus of your employees’ perspectives of your business, it’s time to implement some of the more popular changes that are mentioned. Making these improvements won’t necessarily appease each single employee, but it’ll make the majority of them happier at work. Employee performance is directly correlated with how happy they are with the company culture, how engaged they are in their work and with their coworkers, as well as the location and setup of their workspaces in the office. All of these factors can determine the quality of an employee’s work and affect their productivity. Some people might prefer closed off workspaces that separate them from their coworkers, while others prefer an open concept working environment that allows for easier communication and collaboration. Cultivating a strong work culture that’s specifically suited to your company can help improve the overall experiences of your employees which in turn increases their productivity and makes them feel respected and valued. People who feel dissatisfied with core aspects of the company they work for including the physical location or setup of their office space tend to underperform because they simply stop caring about excelling. Listening to your employees and understanding their needs is a great way to help improve their experiences working for your company. The three most important factors that can help you achieve optimal employee experiences, engagement, and motivation are physical location, technological enhancements, and work culture. Physical location can have two meanings in this case. The first meaning applies to the physical location of the office space you’re renting and the second has to do with the location of each employee’s workspace within that office. Renting from a centrally located office building or business centre that has plenty of available parking and is within walking distance to public transit systems is crucial because it makes commuting to work much more tolerable for your workers. Office equipment that’s outdated or constantly breaking down can make it extremely difficult for your employees to perform their jobs properly and this causes a great deal of frustration for them. It helps to have experienced and reliable IT staff on standby in the event that certain equipment needs troubleshooting or repairs. Equipment that runs smoothly is a surefire way to keep your employees satisfied and keep their sanity intact throughout the workday, especially if they have to meet tight deadlines. As mentioned, the type of work culture you establish in your company depends largely on the type of industry you’re in. Some companies can afford to have a more casual work culture, while others thrive with a stringent hierarchical structure in place. 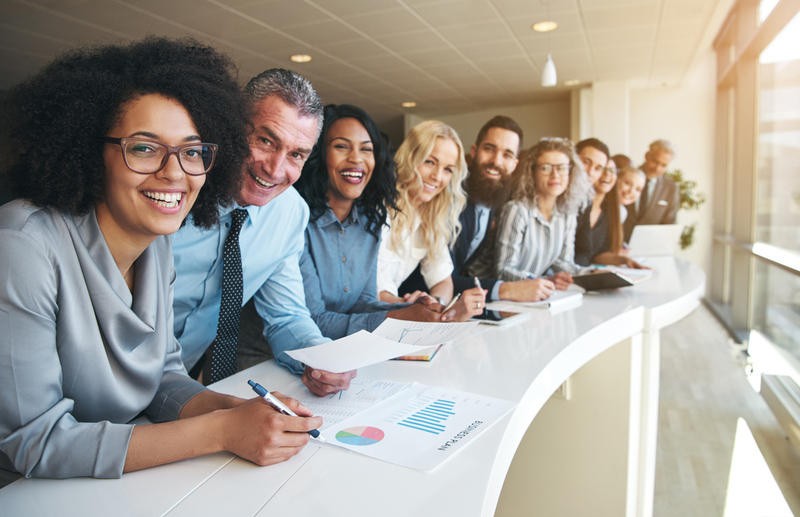 If you’re a relatively new or small business, then some trial and error might be required before you can establish the right work culture for your company. Just try to keep a consistent business structure in place as much as possible so that your employees aren’t in a perpetual state of disorientation. The ideal modern day office space is one that can accommodate all personality types as much as possible. Whether your employees prefer to work remotely or in the physical office location, you should be able to meet these needs. The right working circumstances can help enhance your employees’ experiences and increase their productivity a great deal by facilitating their concentration and making it convenient for them to either work independently or as part of a team. The most important tip for improving the experiences of your employees is to provide them with a good balance of private and open concept workspaces. Does office experience matter? The answer is a resounding yes! Innovative Professional Offices is one of the leading office rental companies in Ontario. We offer premier open concept office spaces, boardroom rentals, and stylish working accommodations for small- and medium-sized businesses with a wide range of amenities. To learn more about our rental packages or schedule a tour of our locations in Ottawa and Mississauga, please contact us.